Pharmaceutical exhibition where companies from around the globe will showcase various products and services from API to Clinical research. 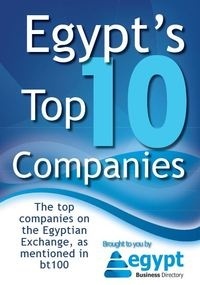 EgyptPharm will occupy more than 4,000 square meters of innovative products and services. It will accommodate country pavillions from Egypt, China, Germany, India, US and many more. Exhibiting at EgyptPharm provides companies who directly target the pharma industry with an unrivalled opportunity to launch new products, develop international networking and promote their skills including innovative prodduct solutions tailored to the decision makers needs. The conference brings together more than 60 academic and industrial professionals from Australia, Egypt, England, Germany, Italy, Saudi Arabia, Switzerland and USA. Eight parallel workshops/symposia will cover Tables & Capsules Manufacturing, QC/QA Technologies, Steriles Product Advanced Technologies, Bioavailability/Bioequivalence, Registration, Revent Trends in Drug Discovery, Advanced Drug Delivery Systems, Quality Control and cGMP. In addition the conference will be concluded by a Round Table discussion chaired by the leaders of Academic and Industrial Organizations addressing Challenges Facing the Arab Pharmaceutical Manufacturers.